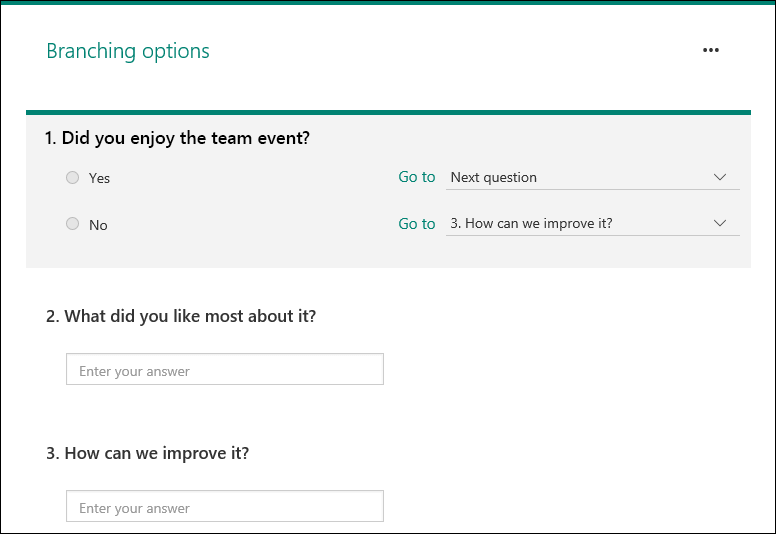 You can add branching logic to a survey or quiz so that it changes according to the responses to specific questions. In a survey or quiz that branches, questions appear only if they are relevant to the responder. If the questions don't apply, the responder is redirected to a different set of questions or will skip a set of questions altogether. Click the ellipses button (...), and then select Branching. The dropdown menu contains a list of every question that follows. For each possible response to the question, select the question that you want to branch to. In this example, if a responder answers Yes to the first question, you want him or her to go on to the next question (#2). However, if the responder answers No to the first question, you would branch, or skip, to question #3. To insert additional branches to your survey or quiz, repeat steps 2 and 3. 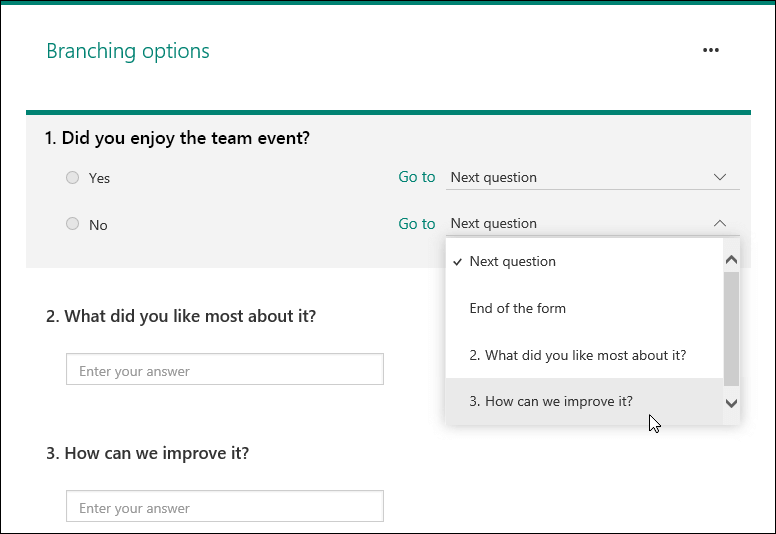 If you want a particular question assigned as the final one in the survey or quiz, click the dropdown menu next to that question, and then select End of the form. If you want to completely reset your form and remove branching, click the ellipses button (...), and then select Reset.